I had originally ordered the Mini Click Stainless Steel-POLISHED but I after ordered it I received a phone call from Mr. Jack Roman himself. Mr. Roman informed me that they were out of stock on the pen that I ordered, but he informed me that he could make it for me or send me a Mini Click - Stainless Steel - Vehement Knives Apocalypse Wash in place of the pen I originally ordered. I said I would gladly accept the other pen and it is awesome. 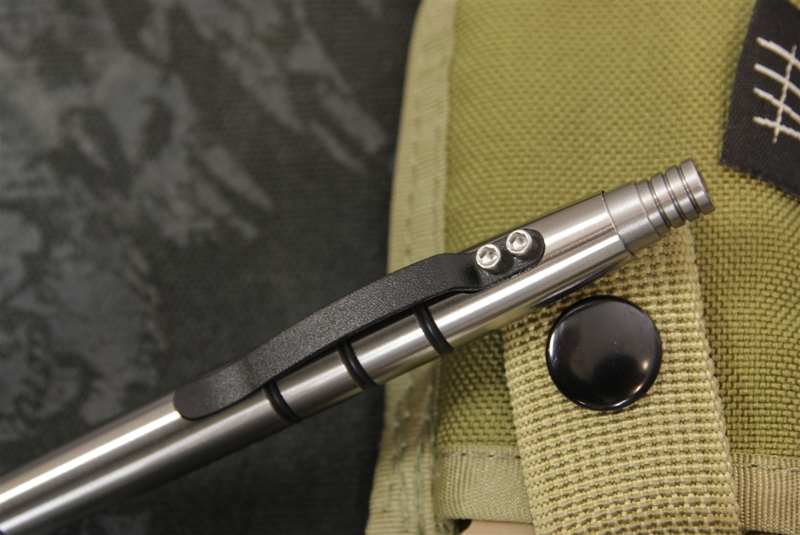 I've purchased a couple of Mini Click pens from the Kickstarter campaign and I also own three of the tactical pens. Outstanding products. But what's even better is the customer service. I don't know many companies where the founder of that company takes time out of their busy day to personally call their customers to help straighten out an order. Great company with great customer service and great products. You won't be disappointed when making a purchase from Tuff Writer . Ive been buying these pens for years now and still love them! I just started buying the mini click to see how they compare to the precision press and they are awesome just smaller.The customer service is 5 star they always write back or answer your call.Great pen Great company. These are great pens and while I like to keep pen costs "reasonable", I enjoy a solid worker in my pocket at all times. 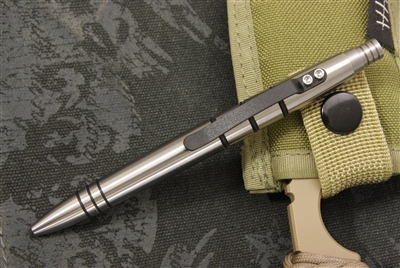 That being said, having both a Stainless steel AND a Titanium mini click, I prefer the weight and surface finish of the Titanium. I prefer the affordability ( relative) of the stainless however. I wanted a tumbled or brushed finish on the stainless for better grip, particularly in view of the considerable weight addition of the stainless version. Both are both handsome, functional and writing instruments to be proud of. 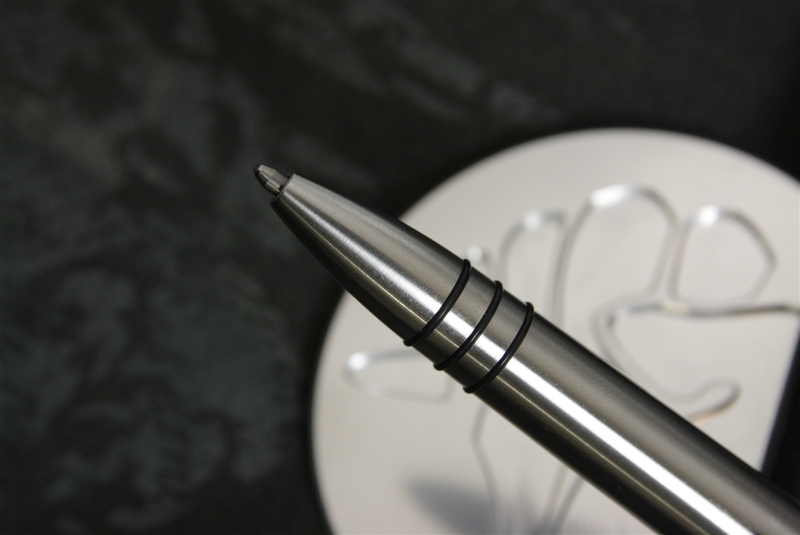 The stainless steel mini click pen is a great pen.It's got good weight to it but it's balance is right on. Beautiful to look at with it's mirror polish, it's built to go the distance. Very solid pen. If you want a pen that will outlive you-THIS IS IT!! Overall, this is the nicest pen I have ever owned, but I do see ways it can be better. First and most important would be the clicky tail cap. I did a test of 200 cycles and the pen failed ~13% of the time. Additionally it feels like it grinds near the end of its stroke. I would like to oil it, but the pen is not easily serviceable, another critique of mine. 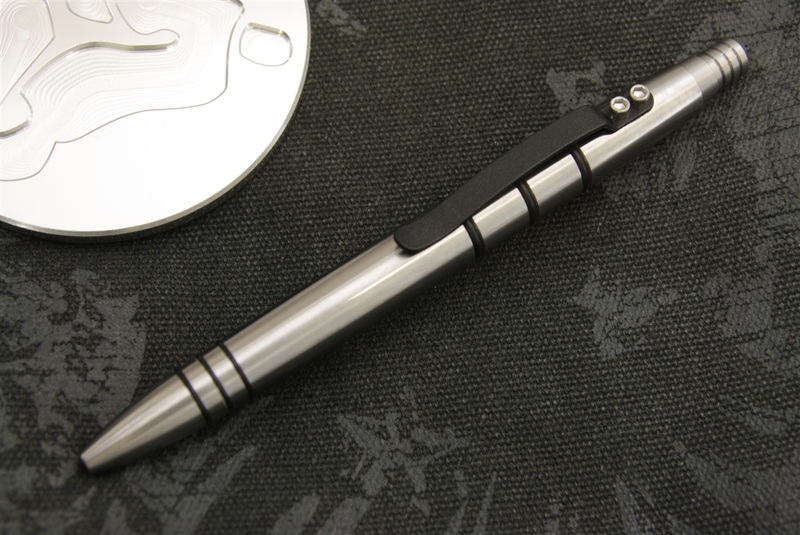 The surface finish looks great (not so much the head of the tail cap or the inside of the pen) but those are minor details. Shipping check lists could use some work as well. One o-ring shipped on the threads of the pen tip, and I thought the pen was missing the center o-ring. It took watching pen reviews to discover the o-ring I thought was for sealing the pen was actually my missing o-ring. Either way, extra o-rings would be appreciated. The tolerances on the pocket clip screw locations seems a little excessive and costly but that is just me nitpicking.